Crime rates are down, but spending on the prison system continues to skyrocket. 40% of people leaving prison return within 3 years. Outdated "tough on crime" policies trap many people in a cycle of incarceration and poverty. If you want offenders to pay for their crimes AND become productive citizens, then explore this proposal. Experts from The Sentencing Project have published this proposal. As these organizations do not take institutional positions, this proposal reflects the views of the individual authors. The Justice Reinvestment Initiative (JRI) was launched in 2010 by the Bureau of Justice Assistance (BJA) as part of the solution to mass incarceration. The intent was to reduce corrections populations and budgets, and use the savings for reinvestment in high incarceration communities to make them safer, stronger, more prosperous, and equitable. While JRI has improved dialogue around criminal justice reform, it has not been able to meet its intended goals most of the states in which it has been implemented. Further efforts are needed to end mass incarceration. Kansas’s population stood at 8,539 in 2008, and grew to 9,327 by 2011. In Texas, the prison population went from 171,790 in 2007 up to 173,648 in 2010, then down slightly to 172,224 in 2011. 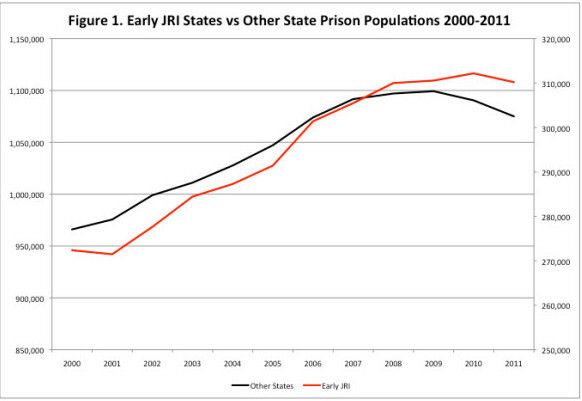 Rhode Island’s prison population jumped from 3,654 in 2006 to 4,045 in 2008, and then fell to 3,337 in 2011. The culture of punishment is driven in part by political expediency. In an effort to seem "tough-on-crime," elected officials have approved increasingly harsh sentencing guidelines. These policies have been aggressively implemented at every stage of the criminal justice process: arresting, charging, sentencing, confining, releasing, and supervising. If the US prison population were a state, it would be the 36th largest — bigger than Delaware, Vermont, and Wyoming combined. More black men serve time in our correctional system today than were held in slavery in 1850. Incarceration is the punishment of first resort for too many offenses. Half of state prisoners are behind bars for nonviolent crimes; half of federal prisoners are locked up for drug crimes. Roughly one in three new prison admissions are for violations of parole or probation conditions. And 6 out of 10 local jail inmates await trial, though research suggests that as many as 80% could be released with little or no threat to public safety. All told, as many as 1 million people may be behind bars without a public safety rationale. For decades, the culture of incarceration and extreme punishment has thwarted or watered down most reform efforts. Today, however, these dynamics seem to be shifting, and the JRI has been a factor in this shift. In nearly every state of the country, it has become politically popular to contain correctional costs, scrutinize proposals for further growth, and consider strategies to downsize correctional populations and budgets. Falling crime rates have reduced the prominence of fear-of-crime as a political imperative. Other concerns, such as the war on terror, jobs, healthcare, education, immigration and climate change have replaced public safety as top national priorities. The failure of the War on Drugs, along with its destructive socio-economic consequences, has increased public support for effective alternatives that are less costly and punitive. In California, 99% of adjudicated youth are now housed or supervised by counties. While the incarcerated state youth population in California declined by 84% from 1996 to 2008, the juvenile arrest rate declined by 32%. In New York City institutional placements of delinquent youth fell by 62% between 2002 and 2011, while experiencing a 31% decline in major felony arrests of juveniles. In Texas, the number of youth incarcerated in the Texas Juvenile Justice Department declined by over 63% between 2006 and 2011. The state legislature passed bills precluding misdemeanants from being sentenced to TYC and reducing lengths of stay for youth convicted of felonies, reallocating $58 million to counties to work with these youth, about half of what it would have cost to incarcerate them. When lawmakers were able to close two remote facilities, saving the state $115 million, probation departments in Texas were provided $45.7 million to operate proven diversion programs in exchange for agreeing to reduce their targets for commitments to TYC. Since 2000, increasing incarceration had almost zero impact on the crime rate. Large states such as California, Michigan, New Jersey, New York, and Texas have all reduced their prison populations while crime has continued to fall. The majority of American inmates are parents. About 3 million children have an incarcerated parent, or one who has been released recently. Many convicts and ex-convicts maintain a connection to their families, and their absence from the family while in prison as well as their problems upon return to the community deeply affect those family members and the immediate community. The destructive effects of mass incarceration and harsh punishment are visited disproportionately upon individuals and communities of color. Former inmates return to society stigmatized as “convicts." Best estimates suggest incarceration contributes to as much as 20% of the US poverty rate. Nearly 65% of the 600,000 people who exit prisons each year face long-term unemployment. The BOP's growth and size have created a financial burden for the federal government, requiring big investments in basic housing and infrastructure and leaving few resources for the important work of supporting rehabilitation and successful reentry.The BOP’s budget remains persistently high despite recent reductions, with $7.5 billion appropriated in FY2016. Adjusting for inflation, the cost of federal prisons grew from $950 million to almost $7.5 billion in the past 35 years, an increase of 687%.These expenditures have increased at twice the rate of the rest of the DOJ budget. The BOP accounts for 25% of that budget today, up from approximately 20% in 2009. This rapid growth in spending has had a limited and likely diminishing impact on public safety as federal prisons filled with people convicted of less serious offenses. Incarceration not only imposes an opportunity cost in the form of lost wages and livelihoods, but also takes a damaging toll on the mental health of those serving time, many of whom exhibit higher rates of depression, posttraumatic stress disorder, and other mental illnesses. Without effective rehabilitative programs, the experience of incarceration can cause the very behavior it is punishing. The collateral consequences of having served time in prison can last for life. Legal barriers to employment, housing, and voting can have a profound impact on a person’s likelihood of success following release from prison. The stigma associated with a criminal background presents a challenge for those seeking to resume life outside prison walls. 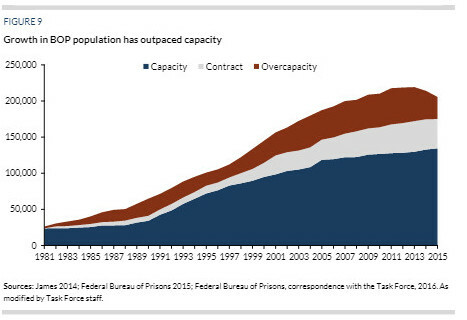 Despite a massive prison construction effort, growth of the federal prison population since 1980 has overwhelmed capacity at many of the BOP’s 122 correctional facilities. Overcrowding, defined as the percentage of the prison population that exceeds a facility’s rated capacity, has been the norm in the BOP for years and continues despite the recent dip in population. This report provides an assessment of why the Justice Reinvestment Initiative has not produced significant reductions in correctional populations and how its original mission, to reduce corrections populations and budgets to generate savings for reinvestment in high incarceration communities can be achieved moving forward. More than 20 years after the 1994 “Crime Bill” directed federal funds toward building new prisons across the country, this report urges Congress to pass legislation that would do the reverse — use federal dollars to reward states that successfully reduce both crime and incarceration. The SAFE Justice Act is a bipartisan bill in the House of Representatives. The bill limits the application of federal mandatory minimum drug sentences to the highest-level offenders, as Congress originally intended. What Caused the Crime Decline? examines one of the nation’s least understood recent phenomena – the dramatic decline in crime nationwide over the past two decades – and analyzes various theories for why it occurred, by reviewing more than 40 years of data from all 50 states and the 50 largest cities. This report provides both an urgent call to action and a roadmap for reforming the federal prison system.By adopting the recommendations detailed here, and committing sufficient resources to ensure their effectiveness, we can reduce the federal prison population and achieve significant savings. 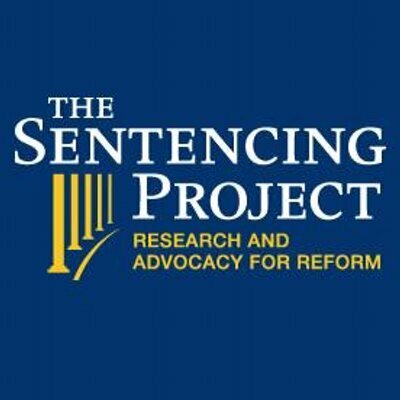 The Sentencing Project is a 501(c)3 organization that works for a fair and effective U.S. criminal justice system by promoting reforms in sentencing policy, addressing unjust racial disparities and practices, and advocating for alternatives to incarceration. Reduce unnecessary arrests, especially for drug crimes. Research shows that police departments can safely reduce their felony arrest rates, which can have a dramatic impact on state correctional populations. Eliminate unnecessary pretrial detention. Nationally, approximately 60% of the jail population is awaiting trial; many charged with nonviolent offenses languish in jail simply because they cannot afford bail. Reclassify some drug and other crimes, thus reducing the overall number of individuals housed in local jails and sentenced to prison. Eliminate mandatory minimum sentences, which have a racially discriminatory impact and unnecessarily send thousands to prison every year who have been convicted of nonviolent and/or drug offenses and imposed sentences that are not proportional to the crimes committed. Eliminate revocations to prison for violations of probation and parole conditions. Require Racial Impact Statements, which can help reveal the hidden racial impacts of proposed changes to the criminal justice system. Counter-productive incentives and financial interests are problematic for the criminal justice system. Funding allocations make state imprisonment cost-free to local jurisdictions but require those jurisdictions to pay for placement into treatment or probation; these kinds of strange government funding streams that incentivize localities to push people upstream to state prisons instead of deploying more effective local strategies must be changed. 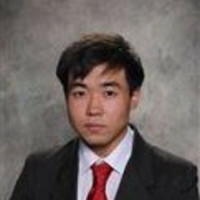 Similarly, effective campaigns must be mounted to challenge federal grant programs that reward unnecessarily aggressive policing, and to counter the bail bond industry’s opposition to pretrial bail reform and the private correctional corporations that lobby for excessively punitive penal and immigration policies, as well as pressures on courts to speed through dockets to the detriment of defendants’ due process rights. Performance metrics aimed at ending mass incarceration must be adopted system-wide. Specifically, federal grants (as well as state and local) should encourage practices that improve public safety and discourage high rates of disproportionately minority arrests for low-level, nonviolent crimes. Prosecutors should be rewarded for filing charges that reflect the merits of the case, not charges intended to extract guilty pleas. Probation and parole officers should be incentivized to help clients successfully complete their terms of supervision rather than making seemingly risk-averse recommendations for revocation. And counties should be compensated for creating programs and policies that retain individuals locally and charged for committing them to state prison. Focus is needed on involvement of local municipal and county officials, as well as local system reform advocates, to press in coalition for reforms that will actually reduce the “local concentrations” of mass incarceration that prevail in the communities to which they are politically accountable. Because local justice reinvestment coalitions are accountable to local constituents, they would not just add to the demand for state legislative reforms, but they would be in a position to share the political risks entailed in legislating sentencing reforms and other difficult-to-attain legislation. And local officials have the authority to implement local policy changes that could result in major reductions in statewide correctional populations. Major reform has taken place in New York, where decades of advocacy and activism in New York City aimed to reform the state’s drug laws, reduce drug enforcement efforts by police and prosecutors, and shift city drug policies away from law enforcement and toward a public health response. Advocacy for change was intensified through broad-based drug reform campaigns coordinated by two New York City (NYC)-based advocacy campaigns: “Drop the Rock” and “Real Reform.” In 1998, felony drug arrests in NYC had hit a high of 45,978. The campaigns against the Rockefeller Drug Laws helped to foster a major shift in public opinion about drug enforcement. In 1999, a widely-publicized poll of New York State (NYS) voters conducted by pollsters at Zogby International revealed that twice as many said they would be more inclined to vote for state legislators who would reduce sentences and give judges greater discretion in drug cases than the number who said they’d be less inclined to support them. That same year, New York Police Department enforcement priorities shifted, and felony drug arrests began a sharp decline. By 2011, the number had plummeted to 21,149, and felony drug filings had also declined. Accordingly, prison sentences for felony drug offenses meted out by NYC judges fell from 8,614 in 1998 to 2,224 in 2011. And between 1999 and 2012, the NYS prison population fell by nearly 25%. The steep decline in felony drug arrests in NYC contributed greatly to a decade-long decline in the NYS prison population, and finally—in 2009—state lawmakers voted to reform the harsh Rockefeller Drug Laws. Reducing length of stay in jail and prison and on probation and parole by a few months would have a dramatic impact on the size of a state’s overall correctional population. The current average length of stay (LOS) reported by the Bureau of Justice Statistics is 29 months. A return to the earlier LOS of 21 months that existed for many years would reduce the nationwide prison population by over 400,000. PEW recently released a study showing that this increase in prison length of stay was costing the states about $10 billion per year. In jurisdictions with indeterminate sentencing systems, presumptive parole for low risk individuals who have served their minimum prison terms. -Increase eligibility for earned discharge from probation and parole, as well as work and education release, so that individuals who succeed under supervision can be released from their correctional obligations and move forward with their lives. -Develop mechanisms for back-end release from jail and prison, including earned eligibility for good time, merit time programs, and increased eligibility for parole in states that retain it. Many states (both JRI and non-JRI) states have implemented some of these reforms. The problem is that, with a few exceptions, they are not sufficiently aggressive to produce the significant declines in correctional populations. In 1991, Ohio was home to four of the 20 most overcrowded juvenile facilities in the nation. In 1994, to address overcrowding and the violence that went along with it, the state launched RECLAIM Ohio. RECLAIM carefully uses fiscal policy to incentivize county juvenile justice innovations. If counties reduce state juvenile placements in a given year, they earn more money the following year. RECLAIM was piloted in nine counties in 1994. Pilot counties quickly reduced state commitments by 42%, while commitments from the non-pilot counties actually increased. Most significantly, low-level felony commitments from pilot counties dropped precipitously. In 1995, RECLAIM Ohio was launched statewide to include the remaining 79 counties. By December 2011, the number of RECLAIM-funded programs initiated statewide topped 600, while the number of youth sent to state facilities has dropped to approximately 650 (from a high of more than 2,600 in 1992). The costs of corrections will decrease with a reduced number of people who enter the system and a reduced length of stay for inmates. This point is important, because, many reform efforts shy away from policy mechanisms that can reduce lengths of stay or overall admissions in favor of programmatic strategies that seek to reduce recidivism rates. A more effective, inclusive, and sustainable justice reinvestment strategy can alleviate many of the harms inflicted on high incarceration communities by unfair sentencing laws. With reduced costs for correctional prisons- smart, targeted and locally determined reinvestments, could aid substantially in repairing the destructive impact of high levels of concentrated incarceration on poor communities of color. The Proposal End Excessive Incarceration needs your vote by Invalid date.